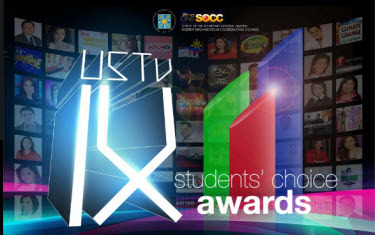 9th USTv Students’ Choice Awards – 2013 List of Winners! Overall, ABS-CBN received 20 awards, GMA received 11 while TV5 received only 1. “Students Making Television Responsible in the Formation of Positive Culture” is this year's theme of the award.